The Big Reveal of new gTLD Applications … What does it mean for the future of Domain Names? In just a few hours from now, the international unveiling of the of applied-for domains under ICANN’s New Generic Top Level Domains will be upon us. 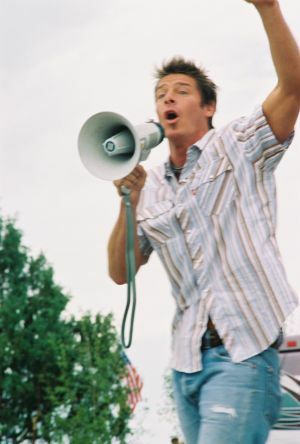 With coverage and anticipation brewing amongst a lot of the major media, I can’t help but wondering if it is going to be kind of like Ty Pennington yelling “Move that Bus” in the Domaining world’s equivalent of Extreme Home Makeover. Will people squeal in delight? Or will will they simply say… “Oh crap, now how am I supposed to cut the lawn of that size?” No one really knows the reaction. Probably the only thing certain with this whole process is that there is no certainty about what this will all mean. Of course, there are some visionaries within the domain space (see: Frank Schilling) who are betting big that this day is a turning point in the web and domain names in general. So where does Left of the Dot stand on all of this? Simply put, we are excited about what this means for ourselves, our properties, and our clients. Stahura’s rationale for pursuing $50M + worth of gTLDs is the same as we stated in our AllICanAffordIsThisShittyDomain.com message from late last year. There is an ever-increasing appetite for online identities and there is not enough virtual real estate to go around. The Left of the Dot approach has been to build virtual high-rises on these virtual properties (we’re focussing on the waterfront lots at the moment). Or another way to put it, our virtual properties are being converted from 3 bedroom bungalows on large tracts of farm land into strata developments. Meanwhile, the new gTLDs are terraforming new planets and building new waterfronts. We believe that these new gTLDs are solving the same problem of giving consumers a choice and an alternative. We also believe that with the amount of money being put into these new extensions, the general public will start seeing alternative domain constructs in their daily lives. And once they start accepting alternate domain extensions, it can only mean good things for our sub-domain model.